Key Difference: Instagram is a free photo sharing app for iPhone, iPod touch, iPad and Android. It was developed by Kevin Systrom and Mike Krieger. In April 2012, Instagram was acquired by Facebook. Flickr is another popular online photo management and sharing application. It was created by Ludicorp in 2004. Instagram is a renowned name among those who love to share their photos and videos with their friends. It is a free photo sharing app for smart phones. It enables photo sharing, video sharing and social networking. It provides the feature of applying digital filters. One can easily share pictures and videos on various social networking services such as Facebook, Twitter, Tumblr, Flickr, etc. It was created by Kevin Systrom and Mike Krieger and was launched in October 2010. Google Play and Apple App Store are distributors of Instagram. Initially, it supported only iPhone, iPad and iPod Touch, but later Android camera phones also got placed in the list. In April 2012, Facebook acquired Instagram. Therefore, it can also be termed as a nifty Smartphone app (only available on Apple or Android mobile devices). Flickr is another popular photo management and sharing application. This image hosting website was created by Ludicorp in 2004. Later in 2005, Yahoo bought this service suite. Initially, Flickr was concentrating on its chat room named as FlikrLive. This chat room enabled the user to exchange the photos in real time. Later, the focus was shifted to uploading and filing backend for individual users, and finally the chat room was dropped from the application. Various upgradations are undergoing in Flickr like the recent unveiling of a redesigned layout and additional features in Flickr. Features include 1 terabyte of free storage for all users, cover photo, etc. Bloggers use Flickr to host the images that they embed in their blogs. They also share the images via some social media network. Instagram is a free photo sharing online service that was developed by Kevin Systrom and Mike Krieger. 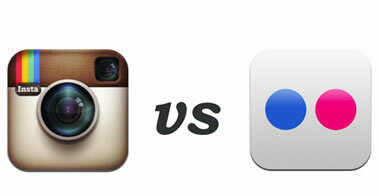 Since April 2012, Facebook has acquired Instagram. Amaro, Rise, Hudson, Valencia, X-Pro II, Sierra, Willow, Lo-Fi, Earlybird, Toaster, Brannan, Inkwell, Walden, Hefe, Nashville, 1977, and Kelvin, then the 18th option is “Normal” – which means no filters. Panda, Mammoth, Ocelot, Chameleon, Wallaby, Iguana, Aardvark, Narwhal, Salamander, Flamingo, Toucan, Orca, Peacock, Chinchilla, Orangutan and of course the 16th is the “Original” or no filter. An image can be rotated, one can add a border to an image, make one point in, turn the contrast up with an on/off switch. The image can be enhanced easily by changing the orientation of the photo. The brightness of an image can be adjusted. The contrast, saturation and sharpness may also be adjusted. One may also easily draw on the photo, add text, remove red eye, whiten teeth and remove blemishes.